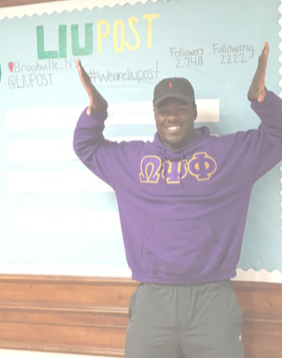 Jesse Agbotse, a graduate student is a defensive lineman for the football team and member of Omega Psi Phi fraternity. Q- How long have you been playing football? A- This will be about nine years at the end of this season, I’ve been playing since my freshman year of high school. 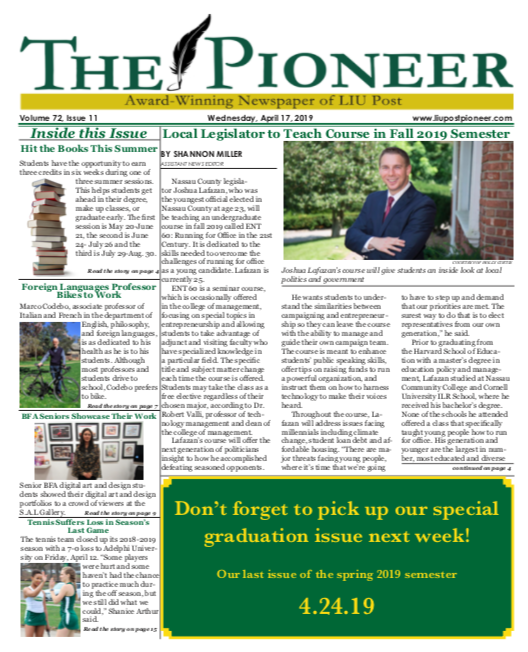 Q- You’ve been playing for the Pioneers football team for four years now. What has it meant to your college experience? A- It’s definitely helped me grow. It’s helped me with my self-discipline. Being apart of something like a football program creates so many memories that you’ll never forget. Q- What was your favorite memory from your four years of playing at Post? A- Winning the 2014 NE-10 championship. A good amount of my original teammates were still here then and that made it very special. Q- You’re one of only a handful of athletes who are Greek. What made you join? A- Those who mentored me from the age of 12 were all members of Omega Psi Phi, and I always saw myself joining it someday. Q- Recently you’ve been promoting a homecoming tailgate. Can you tell us about that? A- A few graduated members of other cultural organizations are planning a tailgate at homecoming to bring alumni and students together. It will be held Oct. 14 in the Pratt parking lot, starting at 11am; all are invited. Q- The Pioneers are 3-2 going into Homecoming. As a leader of the team, what is your outlook going forward? A- Everybody has to step up and be a better player than they have been. Right now we have a young roster and we need our younger players to perform.